It makes sense. The Ten could never exist without the support of The Council, and when you take a good look at the Points system, you will see just how well they tailored this system to actually develop The Ten - or at the very least, protect The Ten, from ever letting anyone take the "spotlight" or the "cash" away from them. When I say "the spotlight" or "the cash," I mean the teaching gigs, the teaching slots, the judging gigs, the judging slots, the finalist positions and the finalist slots. When Points were finally made mandatory in 1998, all the professionals retired or moved into other sports if they weren't friends and/or favorites of Jack Carey, Annie Hirsch or Skippy Blair. Just take a look at history. Look it up. Take notes. Write down names. You'll see. This is insane and brilliant all at the same time. Why? It declares only current competitors as valid Champions or Professionals. Seriously. Think about it. In the Points System, a dancer earns points for every place they make in every division. Finals in Novice gets you 1 Novice point. Making finals in Advanced gets you 1 Advanced point and placing 1st in Advanced gets you 10 Advanced points. And so on and so on. At least, that's how it was when they first created Points. It's slightly different now and I'll get to that later. But you're tracking with me, right? The more you place, the more points you earn and when you finally earn the magic number, say 30 points total, you get to move up a division. 30 Novice points and you get to compete in Intermediate, starting all the way back at zero. Lucky you! Now. How does this benefit the Council's favorite dancers, and their favorite dancers alone? How does this keep their precious "kids" the most highly paid and most sought after dancers for decades on end in the top spots of... everything? Because Jack Carey & the Council made it a rule, from the start, that a person's Points "expire" after 5 years. Expire! So the Champion dancers from the 50 years before Points were ever created? They have to start in Novice. Novice! Oh, they can petition up. At every single event. Over and over and over again until they finally place. Catch a judge who doesn't know you or like you and you're screwed, no many how many times you've petitioned up in the past. And when I've seen them petition up, when they get the right head judge (fewer and fewer are letting anyone petition into anything above Novice because it's frowned upon now - the lower a dancer starts, the more $$$ the whole system gets in the end). But when they petition, they are never, ever! placed higher than Advanced. Advanced! That means they have to go to a myriad of competitions to earn that 30 points (10 events, if they're lucky), and then they only make it to the All-Star Division (and aren't they a sweet and loving bunch of people!). Then they have to earn 30 more points to get out of that! (10 more events, if they're lucky.) Good luck with that! All to just prove you are who you say you are, not what Points wanted to believe you were. I've watched all this for 20 years now. Quite frankly none of the Champions that came before Points are welcome anymore. They know it. They feel it. They are not "in." They are not the chosen of the Council. They are not "current" anymore. So BAM, cross all WCS Champions pre-1998 off the invitational lists, judging lists, event lists, workshop lists. Five generations of West Coast Swing- GONE. Well. Isn't that nice? Not a lot of competition for the new young blood in town, is there? I mean, look at how many in The Ten were even involved in WCS before 1998? Nope. they were all just starting out. Literally. The Council started developing Points at practically the very year most of The Ten started dancing. They fell in love with these kids, and built a wall around them, protecting them forever. And that included protecting them from outside competition. Champions of the last 50 years? Gone. That was easy. Now. What about all the Champions that were still working in WCS at the time of Points. What about the ones who were there when it first started and earned their way, or petitioned their way, up to the Champion level? What happened to them? Well, they did what most of us do - they traveled, they competed, they won, they waved--- and then did something with it. They opened a studio. They started an event. They organized workshops. They taught at studios. They earned their gold stripes and went out into the larger WCS community and did us proud. But Jack Carey & the Council don't consider the "larger WCS community." I don't think it exists in their dream world. They only know the world of Points, so the rest of the world & their WCS communities never ever even cross their minds. Same with their followers. The Points junkies, Novice or Pro, constantly forget that absolutely anyone outside of the WSDC circuit exists. Clubs. Who? Studios. Who? Promoters. Who? Wait, what's their event? Oi. But contrary to their delusions, the MAJORITY of the WCS dancers in the world DO NOT compete. They just don't. They take classes, they go to the weekly local party and they play music and dance in their basements. For every WSDC event, there are 30 studios teaching WCS. For every WSDC event, there are three to four clubs within driving distance of their hotels. At least. The Points community, in a word, is peanuts compared to us. The real WCS community. The majority. And a lot of teachers, studio owners and club board members have come on over to the competitive side and earned their stripes at some point in the last 20 years. A lot. But 75% of them, if they returned to an event today, would be put back in Novice. ...They are less than nothing. ...Just because they went on to teach the rest of us. Just because they went on and had kids. Just because they moved over to Country Western. Whatever the reason, they didn't stay and compete against The Ten for the rest of their lives. And because of this - because the Points Registry only recognizes the most current competitors only - the only people that travel for a living get the go-ahead to teach at events and workshops, etc. OH! And look at that - who are the current Champions? Hey! The ones that were the current Champions when Points first started! Wow. Would you look at that. Neat hat trick there! So you can be the best teacher in the world - you could be voted as the #1 Studio in your major metropolitan area, and come to our event, and be treated like s-. You're with me. You've seen it. It's disgusting. Or just sad. Depending on what event you try. Sigh. So BAM! All tried and true competitors over the last two decades are out of The Ten's way. Great. Good for them. Now it's time for the last big kisser - the one that I think really changed it all. Here it is. Why, oh why, are our dance conventions only hiring the top current competitors as teachers at their events?!? Why are those two different jobs synonymous? Oh, right - and the judging positions too. Why are the two paying gigs at a convention, judging and teaching, overlapping with the competitors side? Aren't those two usually separate? Don't you usually compete, get decorated and then move on to those positions, or others, in the larger community? And don't people who teach and train others at conventions have a long and varied history in their subject matter? A robotics convention doesn't hire people based on the fact that they enter a lot of competitions and do well. That's kind of something you do in college really. It's one way to start - but not the only way. It's not how everybody does it, not by a long shot. The world has millions of ballroom dance instructors who are talented and amazing and have never, ever competed in their life. Ever. In fact, people on the Council have always said the following phrase: "teaching, dancing and judging are all different skills. You can be good at one and not good at another." They actually used to say that!!! And I always agreed - whole heartedly. I remember waaay back in the day, taking a workshop with John Wheaton. I was sooo lost - the move just did not work - but I was so new and so green that I thought it was my fault. I even asked for personal help, and I could see that he was frustrated with my questions. He turned so red at them. Aw - I feel bad now. I saw a video of my very first private lesson a few years ago and... oh boy... let me tell ya... there is a reason that poor lady freaked when I said I was opening a studio in the city next to hers. The questions I was asking - so detailed - like "exactly where should each bone in this finger be when I am spinning right here?" And I would stop mid-spin and try and examine my finger bones with her. Good God. That poor woman. Mary Ann Nunez is the only one I know who could answer that question, and she ain't common, let me tell ya. Poor, poor lady. But this is my point. I was clearly, obviously and totally built to be a teacher. Any kind. All my personality quizzes and test yell "teacher! teacher! teacher!!!" Yeah. And so I became a teacher. A freakin' awesome one at that too. But John Wheaton was not a teacher. He just wasn't. But you know what he was? An amazing judge. Like, seriously - the man could tell you exactly what was going through your brain during a spotlight Jack & Jill. He was just that good. I never ever minded him sitting there with a clipboard. Never. Back when we were doing swing, he judged it fair and square. As for his event promotion tactics - well - I kinda think jail is more appropriate, but since I've been researching what's illegal and what's not lately, I've realized that the entire top 3 tiers of the competitive WCS community would be behind bars if cops danced WCS. So Wheaton seems to be in good company these days. But do you see where I'm going? Just because you're a great competitor does not mean you're a great teacher. Just because you're great at routines does not mean you're a great J&J dancer. Are you following me here? Even though Jack Carey & the Council freely admitted this and told everyone that these were all really separate skills and jobs... but when they built a system that did the rewarding, they built it on the exact opposite model. In their system, no one is a professional unless they compete and travel in worldwide Jack & Jills for a living. And J&J's only. Because you only earn Points in J&J's. And it's Points, according to their system, that tell the "truth" about your dance ability. Only Jack & Jill points can say whether or not you are a Champion dancer. And nothing else. Not according to the Council. No routine. No social dance. No teaching history. No awards or accolades from outside sources. Remember. There is no larger WCS community in the Points system. They do not recognize any other profession or badge - not teaching, judging, dancing, history or wins - just your Jack & Jill points from the last 5 years. How good that works for... oh, right. The Ten. Only. Worldwide. Because the majority of us participate in the greater WCS community. We grow the dance. We cultivate it. We teach our cities, our counties and our countries. We grow it and grow it and grow it and can raise up the best darn WCS dancers the planet has ever seen. But you'll never hear about them. They'll never get a teaching position at a WCS event. In fact, their event won't even be listed on the irwebsite. And let's just say that they paid a ton of money and made it up the ranks and became Champions and came home and did the same thing - trained others, grew others, developed others until they were all Champion level... and they returned to an event... and they would all be Novice. Again. And the head judge will say, "Who? Exactly who are you?" And they'll have to answer "Nobody." Because they don't do Jack & Jills for a living. They chose to live in one place. They chose to be something other than a J&J competitor - and so they are erased. Meanwhile, Sarah shakes her a** at us for the 1,768th time. Sigh. 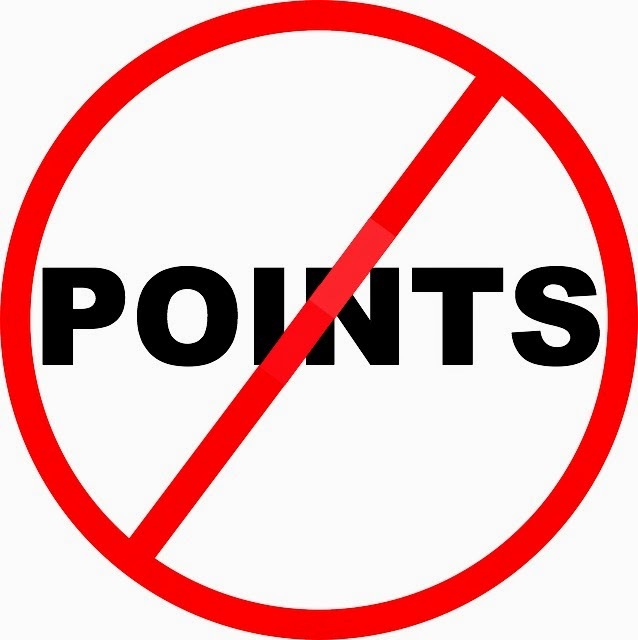 Points completely deletes the natural order of things. A studio instructor raises a new WCS dancer from Beginning classes up to Advanced and sends them to a convention for the first time. And Points stares down at them and says, "Sorry. You're Advanced when I say you're Advanced. And I don't know you. So I know you're Novice. Next!" And hey - look at that - they only way Points learns your name is through J&J competitions. And that's a very different skill set then social dancing, teaching or judging. But Points says none of those talents or positions matter. Only good J&J dancers can ever really be Advanced. And you must be friends with Points to be Advanced. And when I say friends with Points, I really mean, pay Points a ton of money. The whole thing is such a scam. I mean, golly-gee - everyone in The Ten is an amazing J&J dancer! No kidding! Hey! They're in for life. Just like Carey & the Council want it. So BAM! All the professions that usually come with the field of dance - teacher, choreographer, coach, studio owner - are not recognized in our particular dance form. The only profession recognized in the WSDC's WCS world is that of "competitor." Specifically, the "J&J competitor." Who attends every event. In the entire world. Gee. How many of us can do that? Really? How many of us would be able to stay away from our families that long. How many of us would be able to finish or start our degrees. That's the requirement to being called a Champion? To drop everything and follow crazy flight schedules? Are you crazy? Only a handful of people on this planet could really do that because most of us aren't made that way... Oh. Right. They do. I am clapping my hands, dear Council. I am clapping my hands. Because you managed to somehow sell the world a system that provided you with millions and millions of dollars over the years, all the while knowing that this enforces the idea that the "Champions" are truly the best of the best, while the position of Champion is actually impossible to get. As one of their favorites says on her Facebook 'About' page, "You're not the s--- unless someone who is the s--- says you are the s---." And hey! How many of them have actually told you that you are a part of The Ten? Seriously! In the last 20 years, how many new faces, out of the millions and millions and millions! spent by people across the globe and around the world... how many of those have actually been tapped on the shoulder and knighted as one of... them. And then there was the bottom half of the page. It was an article about a few volunteer days I had organized within the community to help the local studio move into a bigger location for us. I had put together a team of 12 or 14 people and we all went into the new studio space and worked that sucker from head to toe - re-grouting tiles, installing floor boards, curtains, the works - just so it would be safer and successful for our first dance in the new location. The owner took us all out to lunch and it was an awesome time. I did a lot of stuff like that before I opened my own studio. So there, at the bottom right corner, was a picture of me, on my hands and knees, scrubbing away the extra grout, beaming at the camera too. Just like Jordan and Tatiana. I couldn't believe it. They were beaming. I was helping out. And all I could think was... "Huh. Nothing's changed."